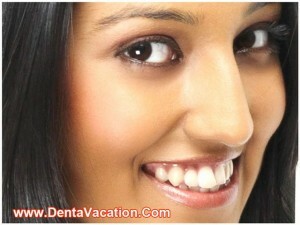 The ability to get affordable dental treatments abroad has encouraged more and more people to travel. In Asia, the cost of teeth implants in Thailand can be less than half of what it costs in North America. In Europe, dental tourism in Turkey has prompted tourists from other European countries like the UK, and even from West Asian and Middle Eastern countries. Turkey, now one of the biggest players in medical tourism in the world, boasts of excellent healthcare facilities and services at very low prices. Turkey is at par with other First World countries when it comes to technological advances in medicine. Some treatments can cost thousands of dollars in the West, but dental treatments in Turkey are only a fraction of what you would normally pay in the UK, France, or other countries in Europe. For some people who are newly exposed to how medical and dental tourism works, travelling to another country for dental work may be met with some hesitation. However, in modern times, the internet and social media platforms are providing people a more unbiased look into other cultures and places, and have therefore opened a world of endless possibilities. Traveling to Turkey for dental work is made easier by the recent boom in their dental tourism industry.Because of the increasing number of international patients who visit Istanbul and other Turkish cities to seek treatment from their top dental surgeons, dental centres in Turkey have stepped up by hiring staff members who speak English and are able to effectively communicate with foreigners. People in the Middle East can also opt to go to nearby destinations and get low prices from our participating clinics in Jordan. Jordan dental tourism is also quickly growing because of their low prices and highly-qualified dental surgeons. During your dental vacation in Turkey, you may let the agency and the dental centre know about the other tourist activities you want to do. They should be able to help you with your itinerary, especially as some activities may need to be scheduled at a particular time before or after the dental work. People in the US may decide on to go to Mexico for dental implants instead of flying all the way to Europe. Full mouth restoration or dental bridges in India may be worth a trip from Australia or the UK since these procedures involve a lot of work and require high quality materials that cost a lot in their home country. The price of the procedure is a lot lower in India, and may make up for any travel expenses you may incur. A patient will do well to take advantage of the fact that in the countries in our dental tourism list, top-notch dental surgeons and clinics do not charge for exorbitant prices like their North American and other European counterparts. Getting quality dental work for a fraction of the cost is a great motivation for dental tourists in Turkey, but it is an equally exciting prospect to get a perfect smile in one of the most beautiful countries in Europe. 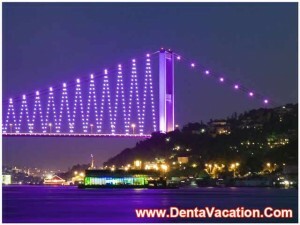 Submit the free request quote form on the right for more information on dental tourism in Turkey from DentaVacations.